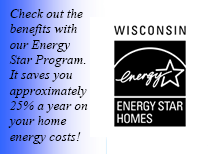 As a family owned & operated business located in Viroqua Wisconsin, we have been dedicated to serving your needs for over 40 years! We provide the best quality homes, with the finest materials available, and a company commitment to deliver the home of your dreams. 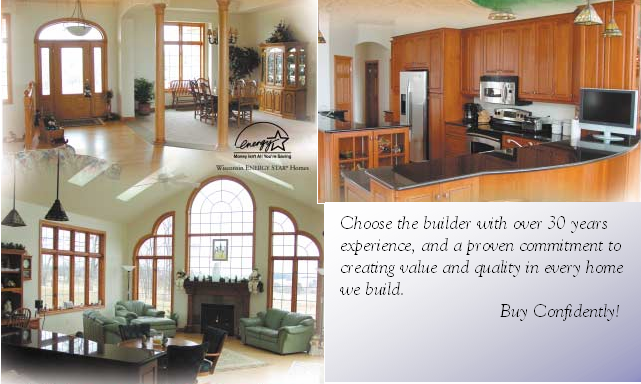 We understand that building a new home can be a big process. So call or stop in and talk with our professional sales team who will walk with you through every stage of the building process. We are dedicated to answering all your questions, and to make your home buying experience easy and enjoyable. Our knowledgable staff will assist customers to purchase a quality home as a competitive price. 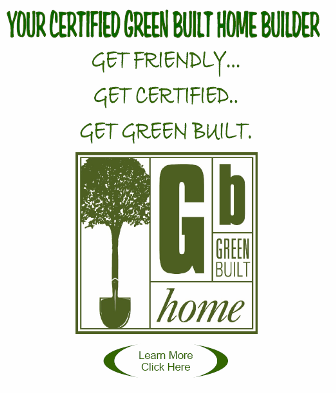 All homes will be built in the most efficient and timely manner, using the best workmanship and materials available. Finished homes will meet the highest customer satisfaction and after-the-sale service. When talking with people who have built with Kickapoo Homes you will hear the same words over and over: easy, friendly, quality, and enjoyable. For 42 years Kickapoo Homes has been building their reputation one dream home at a time. Our families of happy homeowners are living proof of our commitment to crafting excellence into part of the process. From your first contact with Kickapoo Homes, you will immediately feel the Kickapoo Homes difference. Our professional and dedicated sales team will take the time to learn about you, your needs, and your lifestyle. From selecting plans, offering options, and picking colors, our team will assist you to ensure you get exactly the home that you desire. We will work with you through every phase of the building process to ensure that your concerns are met, questions answered, and your building experience is enjoyable. We believe it is vitally important to treat every customer exactly how we would like to be treated. Perhaps, that is why our customers have built with us a second and even a third time, and repeatedly recommend us to their friends and family. Kickapoo Homes’ commitment to quality and customer satisfaction stems from our shared values as a team. Values such as honesty, integrity, teamwork, and customer focus have helped Kickapoo Homes become a successful and respected custom home builder for the past 43 years. Building a new home is everyone’s dream. We at Kickapoo Homes are here to make your dream home an enjoyable reality!